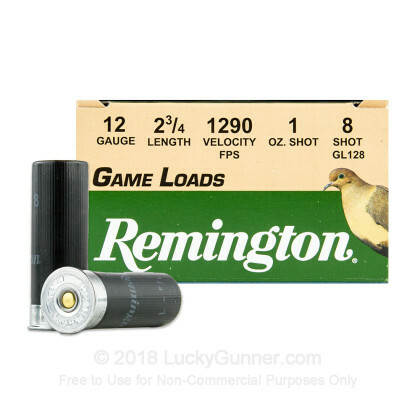 Remington Game Loads deliver impressive performance against both game and targets at a great price. 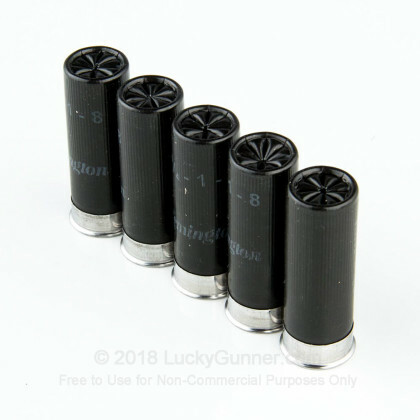 Manufactured in Arkansas, these 2-3/4" shotshells fire a one ounce load of #8 birdshot at 1,290 feet per second out of the muzzle. 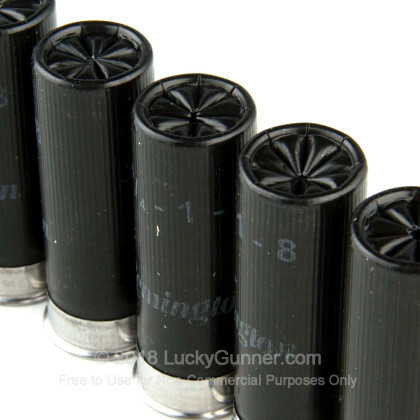 These shells come in the popular 12 gauge format and will produce great performance with only mild recoil. #8 shot measures about .089 inches (2.26mm) in diameter. 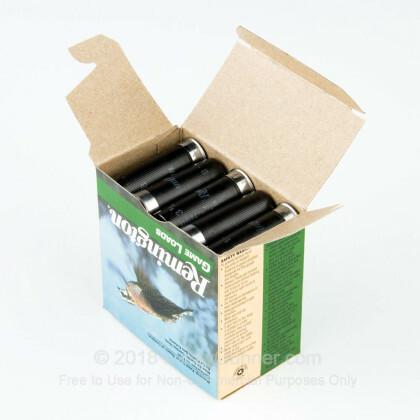 It is highly effective against many birds, but lacks the penetration required to bring down larger game and human assailants. It is therefore best used for sporting purposes. 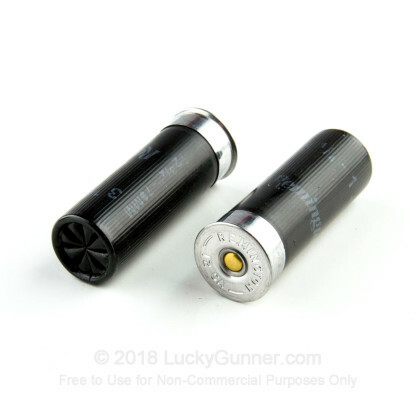 Fortunately, Lucky Gunner has both buckshot and birdshot available! We also have this 12 Gauge - 2-3/4" 1oz. 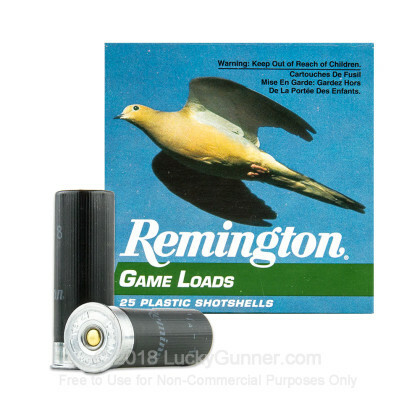 #8 Shot - Remington Game Loads - 250 Rounds ammo in stock in a bigger quantity.